Catholics observe the month of October as the Month of the Holy Rosary. Why? It was a fateful day in October 7, 1571 when forces of the powerful Ottoman Empire sailed west from their naval base in Lepanto, Greece. They met with a Catholic maritime fleet collectively known as the Holy League. The Christian forces were composed of Spain, Venice, some European duchies, the Knights Hospitaller, and the Papacy, among others. Up to this time in history, the Ottoman Empire had been very successful in its goal of territorial expansion along the Mediterranean. In early 1571, an island in the Greek territory of Cyprus named Famagusta was invaded by the Turks as part of the expansion. The Christian coalition of the Holy League had been tasked by Pope Pius V to rescue Famagusta. 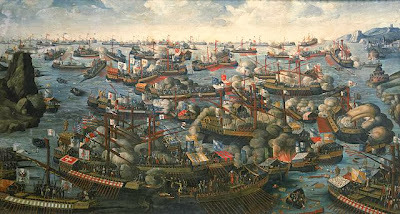 The Ottoman fleet had orders to fight all opposition forces that stood in their way, while the commander of the Christian fleet, John of Austria, made a decision to attack to maintain the integrity of the expedition. In a 5-hour battle, the Ottoman fleet suffered a heavy loss against the guns and ships of the Christian forces. "This Turkish defeat stopped Ottomans' expansion into the Mediterranean, thus maintaining western dominance, and confidence grew in the west that Turks, previously unstoppable, could be beaten." Why is there a religious significance attributed to the victory of October 7, 1571? The victorious Holy League vocally attributed all credit of their triumph to the Virgin Mary. The fleet had implored the Virgin Mary's intercession, asking God for victory in battle, using the Rosary. One of the fleet commanders had the image of Our Lady of Guadalupe at his ship's state room. Soon after, Pope Pius V instituted the Catholic feast day of Our Lady of Victory in thanksgiving to the Virgin Mary for the victory at the Battle of Lepanto. Since the Virgin Mary is the Lady of Victory and also the Lady of the Rosary, the Catholic Church now celebrates October 7 as the feast of Our Lady of the Rosary, with the entire month of October as the month of the Holy Rosary. Since then, Catholic faithfuls have prayed the Rosary to ask for petitions and indulgences from God through the mediation of the Virgin Mary. A plenary indulgence may be gained by the recital of the five decades of the Rosary. The Rosary can be prayed in Churches, at home or any convenient location conducive to praying. It can be prayed alone or privately, or together with the family, or in religious community gatherings. 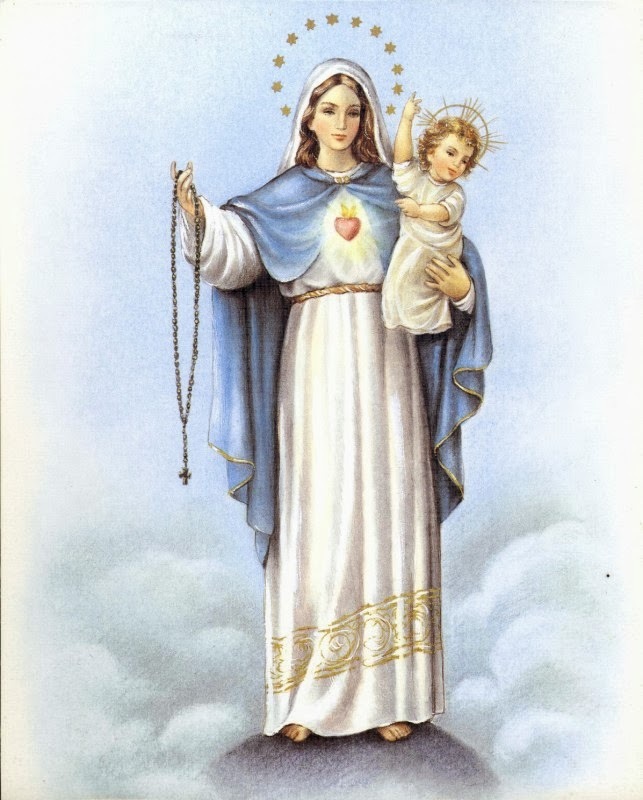 Click here for details on how to pray the Holy Rosary.